Karl & Brenda Stegall served for 40 years within the AWF Conference. Upon retirement, Karl vowed he would devote the remaining years of his life to providing financial assistance for seminarians that were struggling financially. First United Methodist Church of Andalusia, Ala.
Church of Andalusia. During those three years in Andalusia, only 18 miles from the Blue Lake Assembly Ground, Karl was often invited to be the platform speaker at various events held at Blue Lake. In 1970, Karl was appointed the senior minister of the First United Methodist Church of Bonifay, Florida. While serving in Bonifay, Karl led the congregation in the building of a new Fellowship Hall. In 1974, the Stegalls moved to Montgomery when Karl was appointed as senior minister of the Whitfield Memorial United Methodist Church. During those 6 years at Whitfield Memorial, Karl led the congregation in the building of a new sanctuary, as well as a new educational wing. In 1980, Bishop Carl J. Sanders invited Karl to become the Superintendent of the Troy District that encompassed all or parts of 13 counties in southeast Alabama. Because so many of those 13 counties (Barbour, Lee, Henry, and Russell) bordered the Georgia line, the Troy District at the time had the largest number of seminary students than any of the 9 districts within our Conference. Those seminary students attended Candler School of Theology at Emory during the week and served their churches within the Troy District on week-ends and during the summer. seminary students were experiencing. He saw many of the seminary students graduating with large debts as a result of loans that they had made for their seminary educations, and sometimes, combined with loans for their college educations. Deeply moved by what he observed on a daily basis as a district superintendent, Karl made a vow that he would devote the remaining years of his life to provide financial assistance for seminary students that were struggling financially. 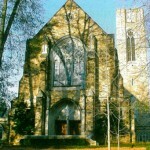 On November 15, 1983, Karl was appointed senior minister of the First United Methodist Church of Montgomery. 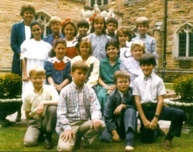 Soon after he arrived at the church, he began a “faith-promise” scholarship program, inviting 35 families to partner with 35 seminary students in providing seminary scholarships. This continued for 23 ½ years. First United Methodist Church of Montgomery, Ala.
Karl’s great passion for seminary students. The congregation honored both Karl and Brenda upon his retirement by raising money for seminary students. 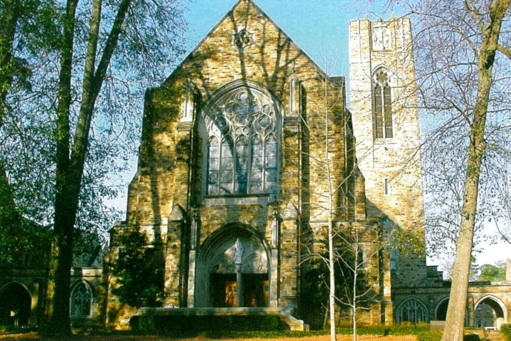 First United Methodist Church of Montgomery, in their campaign to raise seminary scholarships, set an initial goal of $300,000 that was revised to $1,000,000. They received $1,650,000 in pledges. Karl was encouraged to apply for a 501©(3) non-profit Foundation that was approved by the Internal Revenue Service on August 4, 2007. All of the gifts from members of First United Methodist Church of Montgomery were deposited within the Foundation. Karl was asked to serve as the volunteer President of the Foundation and travel all across the Alabama-West Florida Conference to encourage other churches and individuals to join in this effort. Karl and the Board of Directors of the Foundation have set a goal of raising $5,000,000 over the first five years so that the amount given to each struggling seminary student can be significantly increased. appointed by teaching Sunday School and Vacation Bible School, directing children’s choirs, assisting with church bazaars, and providing tremendous support at home. The Stegalls, married since 1965, have two married daughters and two sons-in-law—Stacie and Kevin Haynes; Carmen and Tony McCullough; and six grandchildren, Hannah, Mary Carmen, and Karlson Haynes; and Arden, Adeline, and Holt McCullough.